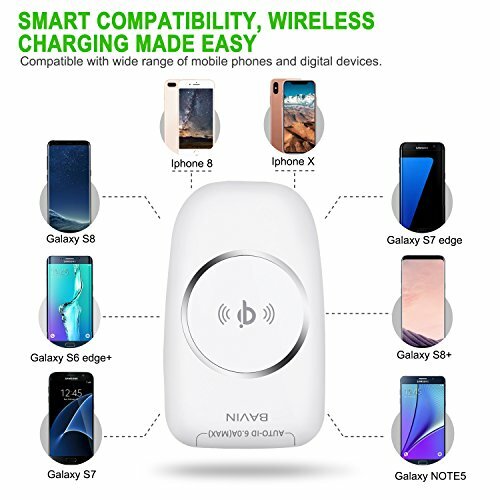 Broad Compatibility: Compatible with all devices that supports the Qi wireless charging standard. 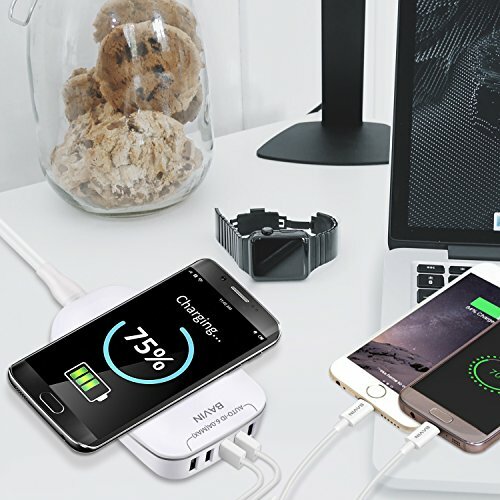 To charge, simply place your phone on the charging surface and enjoy the most convenient way to charge it up. 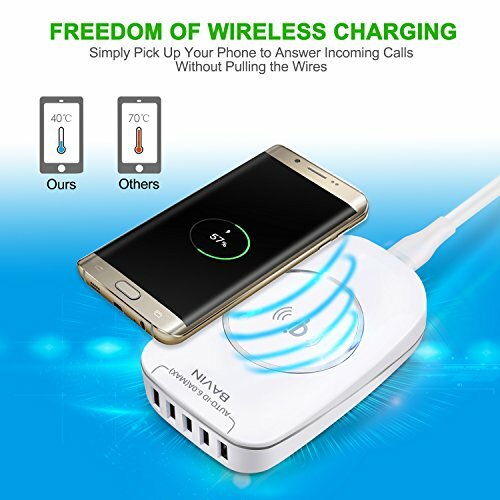 If you are unsure whether your phone supports wireless charging or not, please consult the product specification page on your respective phone manufacturer's official website. 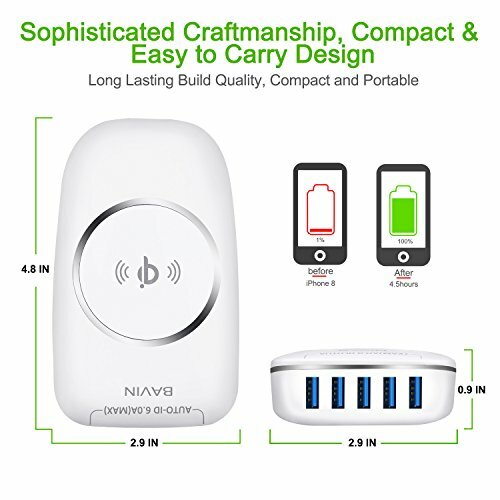 Consistent and Stable Power: 5-terminal USB charger can charge your smartphone, iPad, Bluetooth speaker, and others simultaneously. Maximum power output at 6A, 30W with internal circuits that protect the charger from power surges. 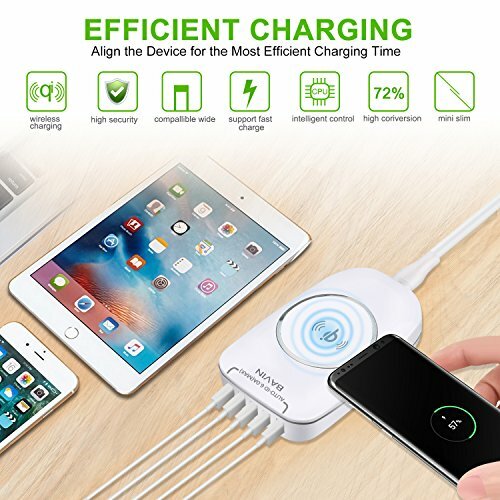 In addition, the circuits are designed with quadruple safety measures that protect the charger from over-voltage, over-current, over-heating and over-loading. 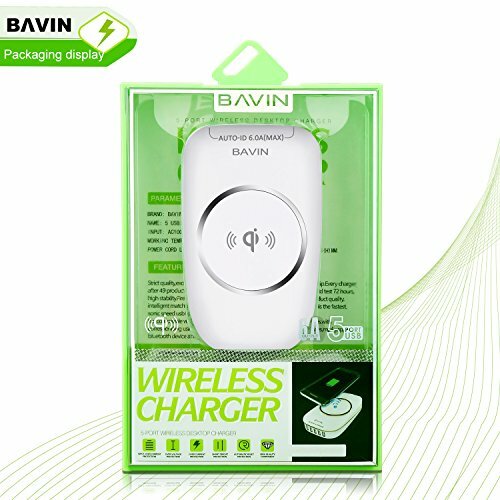 Safe and Convenient: A modern and simplified way to charge. Place the phone on the charging surface whenever your phone is low on power, and simply pick it up when you have an incoming call. 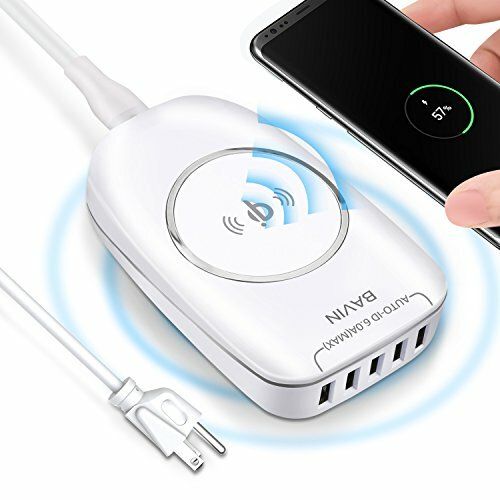 Power is automatically cutoff when the phone moves more than 5mm (.2 inch) away from the charging surface to ensure safety of both the phone and the user. Excellent Warranty and Support Service: We stand by our products and value each of our customers. We offer replacement or refund on our products if it is defective within one year from the date of purchase.